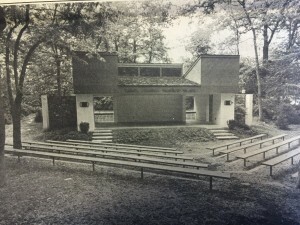 In 1979 a small amphitheater was built near the mansion itself and was used for musical and dance performances for the public. 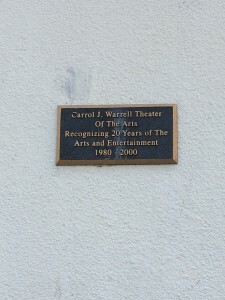 The theater is still in use today and has feted performances such as REACH, a popular teaching dance organization (1). REACH works with local Carlisle school children to motivate and help them with their studies with the added experience of learning and participating in contemporary dance routines(2). The decision to build the Amphitheater in 1979 was met with controversy; opponents of the theater’s construction wished the park to remain in its natural state as much as possible. Proponents believed that the theater would draw more visitors to the park and make it a more popular public area(1). Jacqueline Rollfinke, President of Citizens to Preserve Thornwald, was one of the main opponents. Instead of a permanent amphitheater, she suggested folding chairs and a platform that can be taken away so as not to keep the natural beauty of the land. The Parks and Recreation Board struck down Rollfinke’s proposal because it would require more installation and removal each time the chairs and platform would be used (3). The controversy over the construction of the amphitheater was not the first to unfold over what to do with the Sadler’s former estate. When the Carlisle School Board owned the Thornwald property, there was meant to be a middle school built in 1978. However, public resentment over changing what was left of the Sadler’s former estate led to the school board selling to the Carlisle Borough. The Borough was happy to buy the land first for its reasonable price and second for its use of fulfilling the federal requirement of having a certain amount of open green space based on the population of the area (1). (2) BRIEF: REACH! to Perform at Thornwald Park Ampitheater: Sentinel, The (Carlisle, PA), 2011. (3) Jack Bushey, memo to Borough Council Members, March 3, 1979, Carlisle Parks and Recreation department.